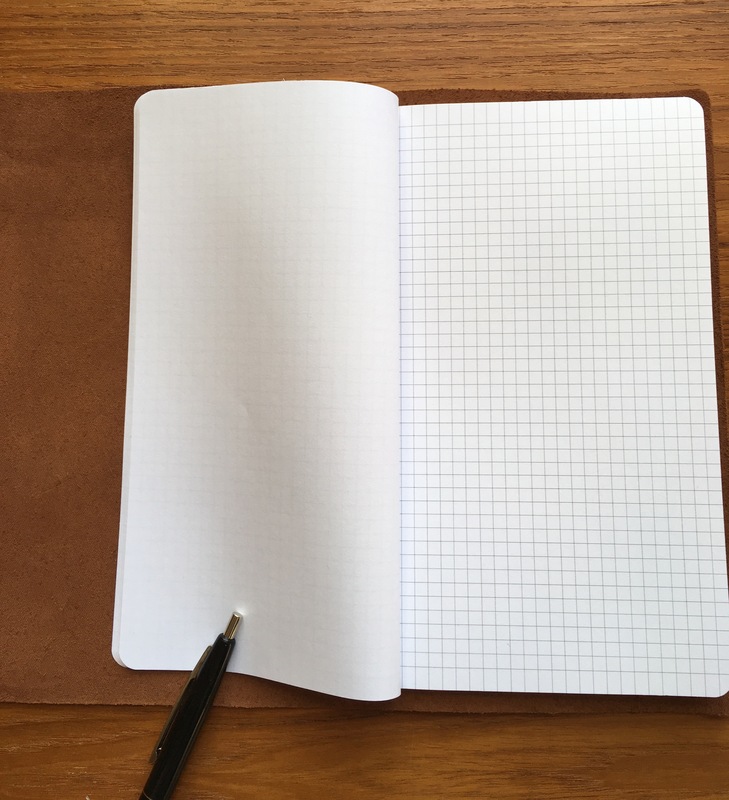 Pricing for leather notebook covers varies wildly. At $50, The Stash is downright reasonable, especially for its larger size. 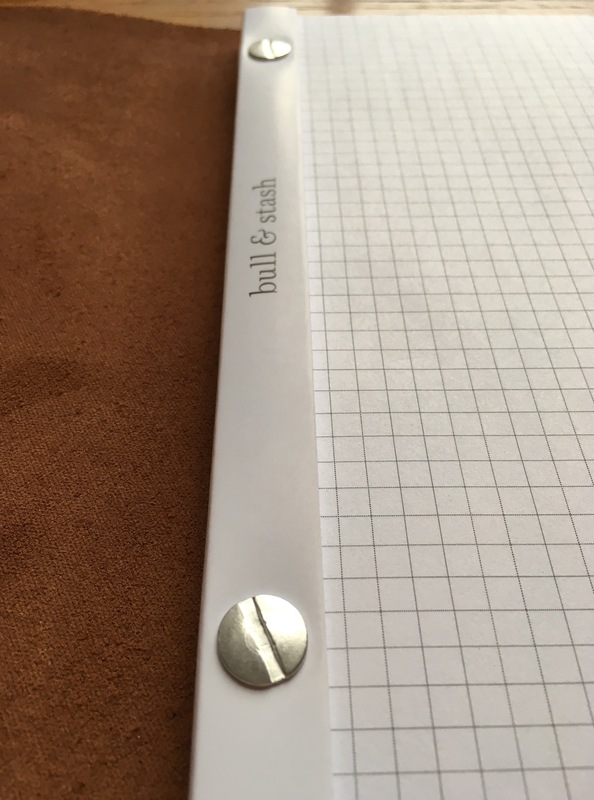 Bull & Stash sent Words on the Goods The Stash with two types of paper to review: blank and grid. Changing the paper is super-easy, and you don’t even need a screwdriver to loosen the two screws to replace paper. I was surprised to see the pages had the grid prints on just one side. This made more sense to me, though, the more I used The Stash, since writing on the back sides is actually more difficult than expected. One thing The Stash doesn’t do is lay the paper flat very well, probably because of the binding mechanism. 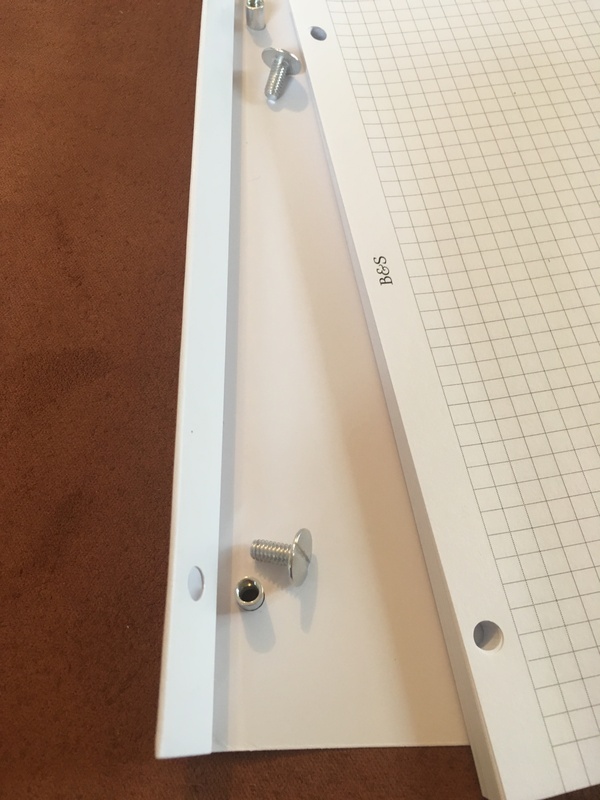 So the solution is to just use the grid print side of the paper all at once, then take out the screws and flip the paper over to use the blank sides all at once. This could make for more awkward information retrieval after you’ve gone through a refill, but if you number your pages (and maybe even index them), you’ll be okay. 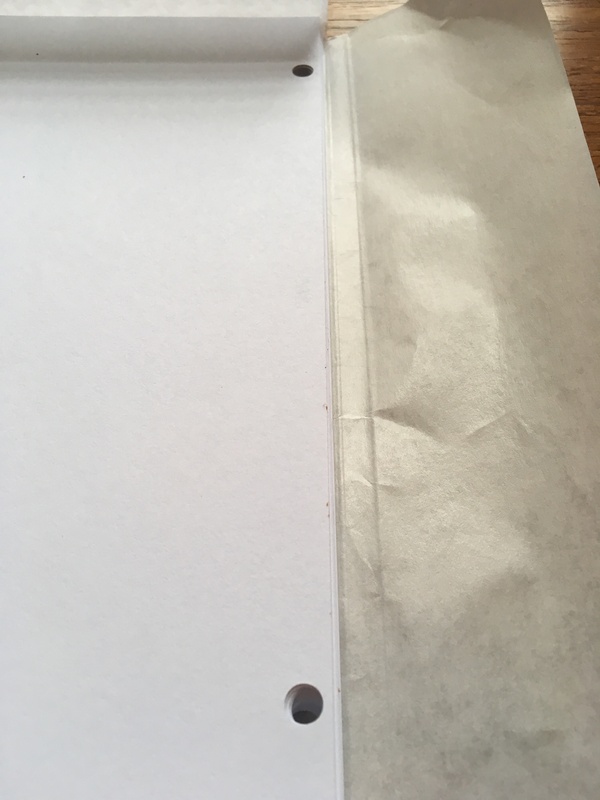 How to store the paper when you’re done? 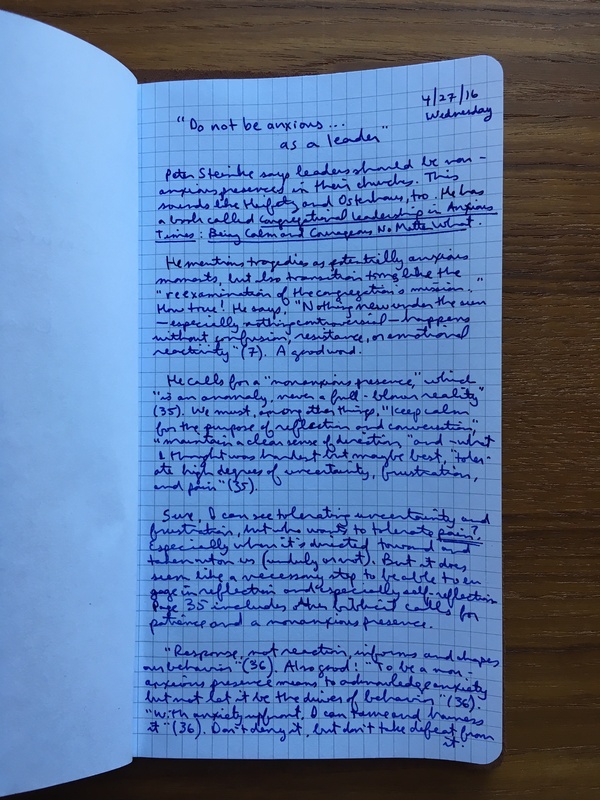 Field Notes and Word., et al, may have an advantage here. Once you take a full Word. 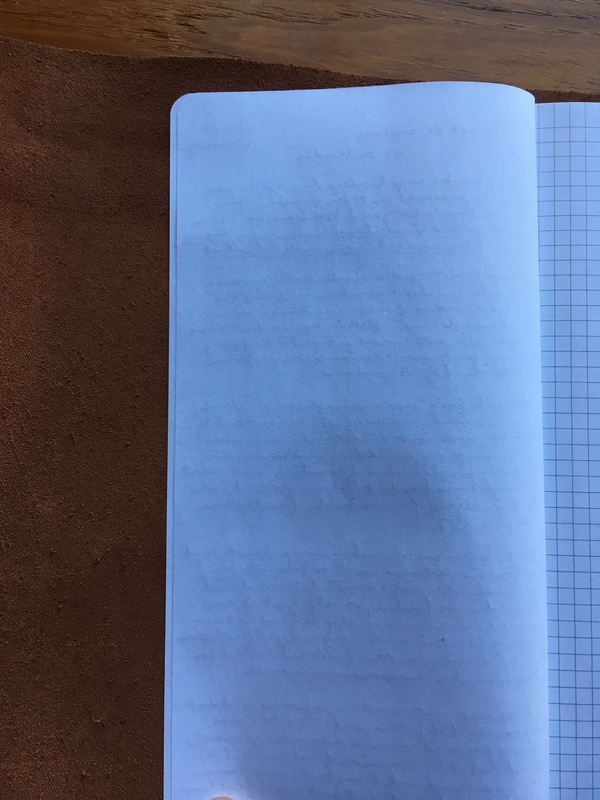 notebook out of a leather cover, it stores easily. With loose pages from The Stash, you need to have some kind of ring system. I can’t think of a binder with the right sizing to stick them in. The paper does great with fountain pens. It’s a reason to appreciate the 60# paper. At first the industrial look (soft leather with sturdy medal hardware) seemed odd to me, but I actually really like the aesthetic of The Stash. You can find all the paper refill options here. And there’s a baby Stash, too! It’s called the Travel Stash, and sells for $25. 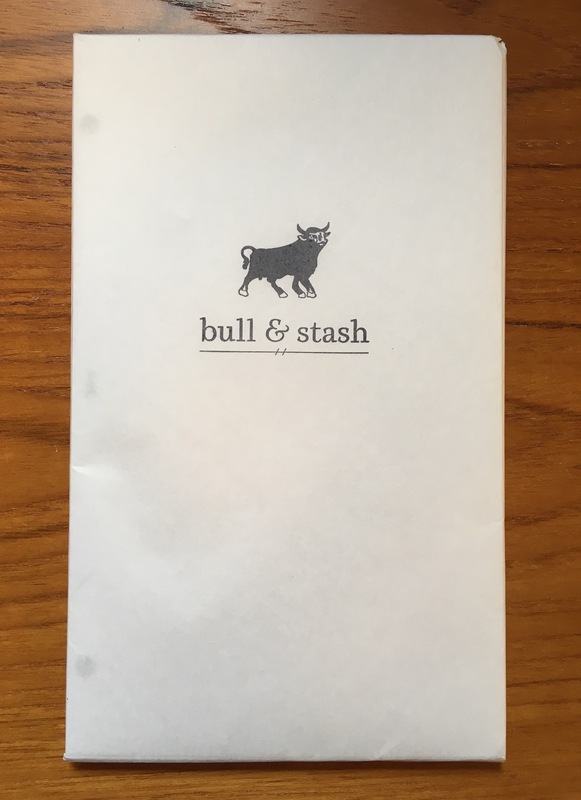 Many thanks to the kind folks at Bull & Stash, for sending the review sample to Words on the Goods, for the purposes of review but with no expectation as to its content. Their providing the sample did not influence our assessment.